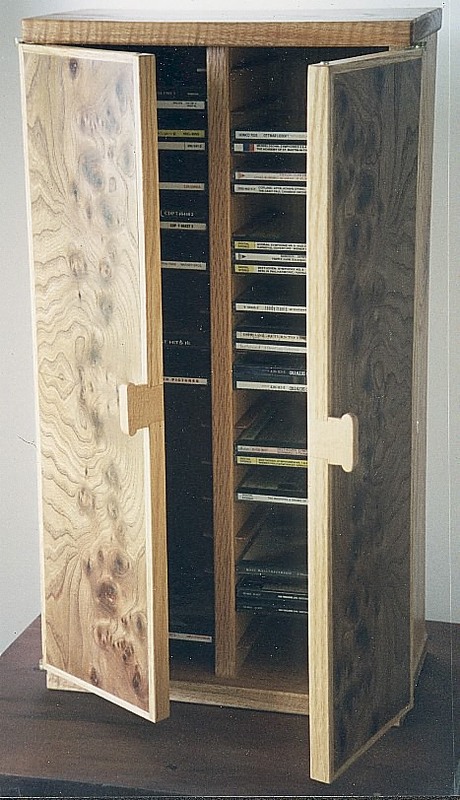 CD Cabinet: Olive Ash burl veneer over plywood doors, oak edge banding, Brusso knife hinges, Lauan doorskin CD supports. Nice work, William. The doorskin supports are minimalist and brilliant.